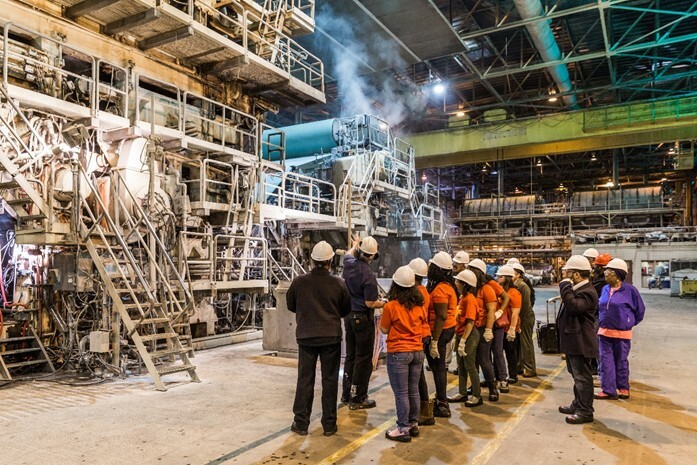 Our Calhoun mill connects with this mentoring organization through sponsorship and a mill tour. It’s a big world out there. Jonathan Porter knows that. He’s been active with the local chapter of the national mentoring and education organization 100 Black Men of America since 2004. Jonathan’s goal is for African-American youth in Bradley County to get first-hand experience with a variety of jobs open to them. That’s why he organized a tour for 25 middle school children to visit our Calhoun (Tennessee) pulp and paper mill where he has worked for 27 years. “I was talking to HR about how we could get more young black people interested in engineering and we came up with the idea of a meet & greet tour,” says Jonathan. Over the years, Resolute has been a regular sponsor of the group’s events including its annual golf tournament and the spring awards gala. The February meet & greet tour is part of the organization’s work to connect African-American kids to area companies and teach them about professional vocations. “Many young black men often think that sports are the key to their future, but we want them to understand that education is the real key,” says Porter, explaining that it allows at-risk youth the chance to see and experience environments they might not otherwise have access to. “That gives them an opportunity to make well-rounded choices about life and careers,” he says. With 118 chapters (mostly in the U.S. but some in the Caribbean and in England), 100 Black Men of America is a men’s civic organization and service club that uses mentoring and scholarships to encourage minority youth to further their education. It’s almost 30 years old and it’s one of the largest organized groups of African-American men in the world. Its vast network of professional members supports the mentoring and educating of some 125,000 students each year, delivering millions of dollars in scholarships annually. The Bradley County chapter is currently supporting 35 students with scholarship assistance. Students begin receiving assistance in the ninth grade from the scholarship fund, and continue to receive assistance through their senior year in college. The corporate sponsorship and fundraising through events typically serve to fund the scholarships. The group also organizes regular guest speakers and tours of area businesses, including M&M Mars and Duracell, as well as college campuses like Moore House College, Spellman College and the University of Tennessee at Chattanooga and at Knoxville. 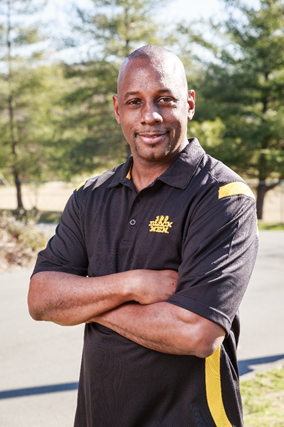 Recently re-elected as president of the Bradley County chapter of the 100 Black Men of America, Jonathan continues to be active with the organization as he does in other aspects of the community. He has also been a volunteer firefighter for 27 years and is a member of Resolute’s emergency response team at Calhoun. A strong belief in the value of community service is driving his upcoming bid as a candidate for election on the Cleveland City Council. Resolute strives to have a positive and meaningful impact in our local communities and we are always humbled and inspired by stories of our employees and the work they do to support our communities. Read about another Calhoun employee’s volunteer work with the Red Cross.